That’s a dopamine molecule. We typically talk about financial behavior and psychology or use terms like motivation and decision making. The truth may be hard to grasp, but it all comes down to gooey chemical interactions in our gray matter. It’s long been known that rats and people with more dopamine are willing to work harder — neuroscientists call this “work effort.” This takes place, because dopamine receptors are activated in our limbic system – the “emotional brain” buried in the cerebrum – and in our prefrontal cortex. What the new research found is that dopamine receptors in another region of the brain cause the opposite reaction. In the insula, which is deep within the temporal and frontal lobes and is connected to the neighboring limbic system, dopamine receptors may act as the brain’s “cost avoider.” This plays out as people hold back from certain activities, including financial activities that they deem as too risky. Treadway explained dopamine’s impact on behavior as being “associated with less willingness to work.” Put another way, the people with higher dopamine levels in the insula went for the easy wins. Different people have different levels of activity in each section of the brain, and it changes depending on what they’re doing. But the combined activity helps to determine the actions we’ll take – financial or otherwise. 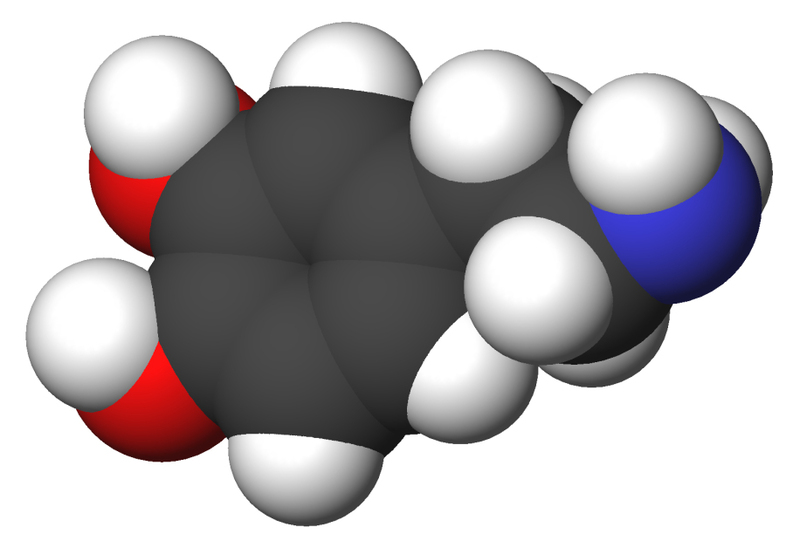 How does dopamine affect your behavior? DA is complicated but simple. It is a very old neurochemical found in most organisms. It is tied to seeking food. Lack of it triggers food/resources seeking behavior. Of course, all finance is simply resources seeking/exchanging/hoarding/etc.. Inherited deficits in dopamine receptors leads to addictions of all sorts. Addictions are actually self-harming hyper-seeking and consumption behaviors. There is some research that more affluent folks have more and better dopamine receptors systems thus are less distracted being forced to “feed” a broken DA brain. All this has broad practical implications for financial behaviors. The use of the term “risk” in the above article is likely wrong. “Risk” = known probability of outcome. “Uncertainty” = unknown probability of outcome. In financial services the two are generally confused or misrepresented. Animals/human aren’t really “risk” averse, all brains are uncertainty averse however.